It has been a great week with longtime friends. Yesterday we got together so Dee could teach us how to make tortillas. Carolann was there too but she was behind the camera. I am so grateful we all seemed to have a week that we could spend together. Looking at you lovely ladies makes me wonder if Jen, Ally, and I will ever get the chance to be together again and what fun it would be. Looks like fun. We used to make our own tortillas in Zim, but i never kept the recipe. It was such a blast being in Tokyo the week with you (and having Jo and Carolann meet up with us each day). 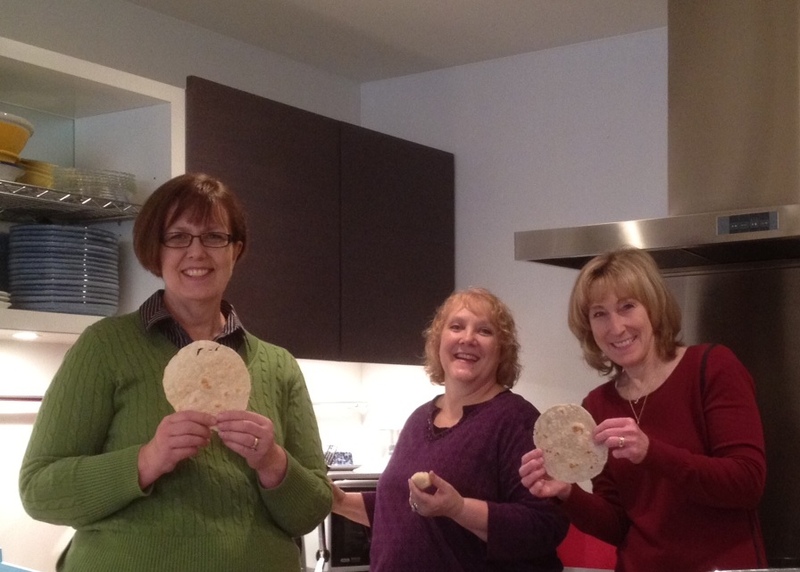 This was the perfect wintry day to stay inside and have fun making tortillas! I loved the week! Thanks Vanalee for making it possible!